Arcano’s Obscura 8-bit Chiptune Synth emulates the sound of the NES and Commodore 64. 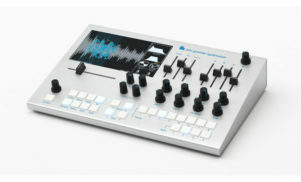 Anyone looking for an 8-bit synth to add some video game nostalgia to their music have another option to add to the growing list: the Obscura 8-bit Chiptune Synth 2. 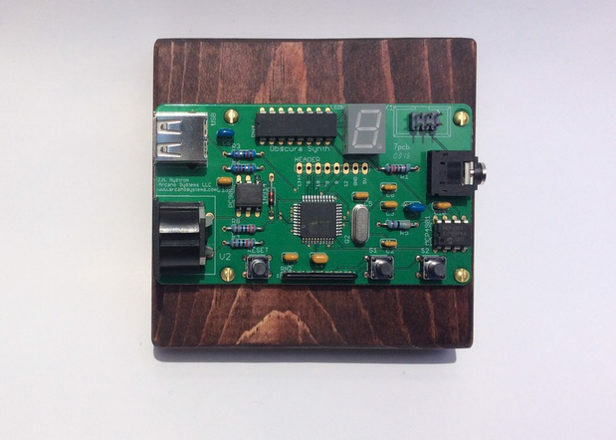 The tiny, wood-mounted device from US company Arcano Systems is the latest in a series of 8-bit synths to be funded on Kickstarter. Like the original, the new version is designed to recreate both NES and Commodore 64-style sounds. It looks like a bare circuit board, but according to Arcano doesn’t require any programming or software to make it work. 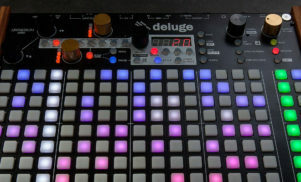 All you need to do is plug in a MIDI controller. The Obscura includes a number of improvements over its predecessor, including extra waveforms, patches, deeper vibrato and faster arpeggio frequency. There are two versions to choose from: one based on the design of the original model, and a slightly sleeker, purple version. The purple version is available without the wooden base if you prefer. The Obscura 8-bit Chiptune Synth 2 is available now on Kickstarter, where it’s already surpassed its modest target of $2,000. Prices start at $80, and delivery is estimated in October 2016.